Spring is peeking around the corner. As I walk through my neighborhood I notice the golden catkins of hazelnut cascading down. 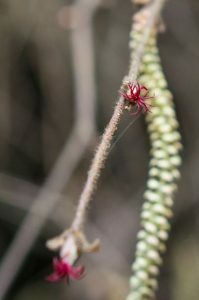 You have to get up close and personal to see the tiny ruby-red flowers along the stem – but it is worth the search. They are gorgeous. Later, these jewels will swell into delicious hazelnuts. 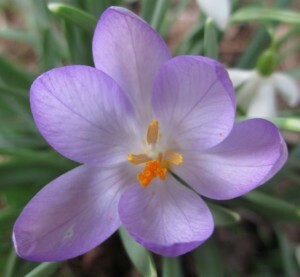 The crocus and snow drops are in their full glory. My three-year-old is as excited about the change of season as I am – she is professing their beauty and making little bouquets for the house. I feel like I am beginning a treasure hunt as tender green shoots emerge from the warming soil.